USAutoMovers sets the standard for service and efficiency. We have worked with individuals, Fortune 500 companies, major car manufacturers / dealers and moving companies since 1987. 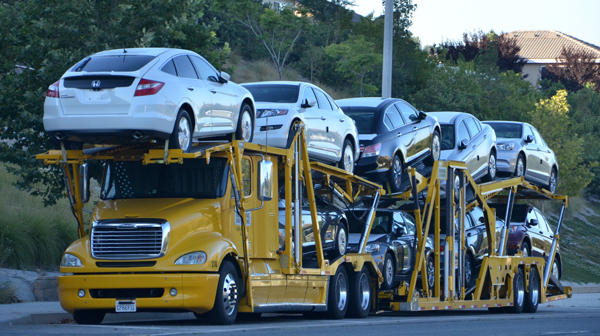 Our reputation for arranging safe, reliable and convenient vehicle transportation nationwide is unparalleled. Commitment to our customers providing them with the very best service is our #1 goal. Our service is tailored to match your individual needs and circumstances. Shipping a vintage car or an expensive SUV? No problem. Regardless of vehicle type, transportation is handled from origin to destination in a fast, safe manner. Our professional staff is selected for their experience, attention to detail, and the ability to provide the extra care that is part of the USAutoMovers way of doing business. Customer inquiries are responded to the same or next business day with a written quote. You can expect prompt, quality service. Extra care is always taken to have your vehicle delivered when you want it. No unrealistic promises – just an honest evaluation of the transportation process each and every time! "We found USAutoMovers to be easy to work with and very reliable. We can't imagine using anyone else. They come through every time." "USAutoMovers stood out from the rest. My experience working with them was easy and fast. I was very pleased with their service and would definitely recommend them to my family and friends." "Very professional and great customer service is what I experienced with USAutoMovers. In fact, the customer service is what sold me. Calls were returned the same day and questions were answered. I am a very happy and satisfied customer." "USAutoMovers exceeded my expectations. They did exactly what they promised to do — pick up and delivery. They are professional and very service oriented. I would recommend them to anyone!"